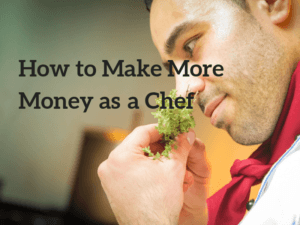 There are several reasons you may want to make more money as a chef. Business could be rather slow in the restaurant or you are working long hours with very little pay. It’s not the end of the road, but it’s certainly time to do something different. Here are 6 ways that have been tried by most people and one of them could possibly transform your career for the better. When searching for your restaurant online, chances are, you may see a few pages that come from social media or local directories. That’s great, but what if people are searching for a specific menu that you serve and don’t know your business name – will your restaurant still show up for terms like ‘Mediteranean seafood near me’ or ‘Indian cuisine in New York’? If you are not, there’s a lack of online presence in the local searches and that’s why customers aren’t finding your place. In order to optimize for local search terms, firstly, you’ll need to build a small business website that’s both professional-looking and functional. Use a responsive theme as the design layout so that your site will show up nicely on mobile devices where most local searches come from these days. On the home page, make sure you have the business logo, title and description that targets a specific keyword that you want to rank for. 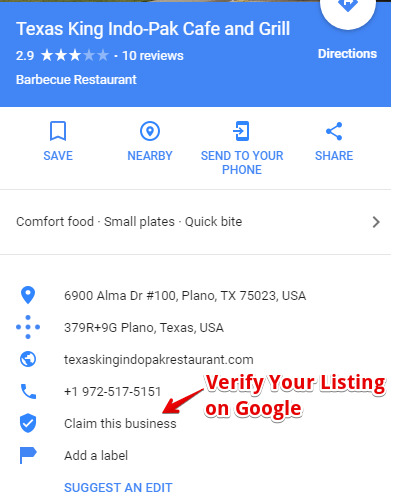 Next, set up a Google My Business account or claim your business listing if it already exists on Google Maps. Subsequently, you can create more listings on local directories like Yelp, set up a Facebook business page and also write a blog to increase readership to your website. All these techniques will make your restaurant more visible during local searches and stand out when compared to other competitors. Do you have a specialty that doesn’t quite fit into the conventional restaurant settings? Then you might like the idea of running a food truck business that is more customer-friendly and more personalized in terms of your own culinary taste. Setting up a food truck is generally cheaper and faster than creating a restaurant or franchise. This makes the food price more affordable and accessible to the public. Due to its mobile nature, you can take the kitchen to wherever that has a hungry crowd like festivals or concerts. With this type of business model, you are totally in control of your own menu and time. Despite the affordability, the cost of investment could range between $30,000 to $100,000 in which you might require a bank loan. There are also a lot of rules governing the food truck industry such as, where to operate legally, why type of licensing is required for the vehicle as well as the kitchen and so on. In addition, there’s also the weather factor that could easily affect the food sales. 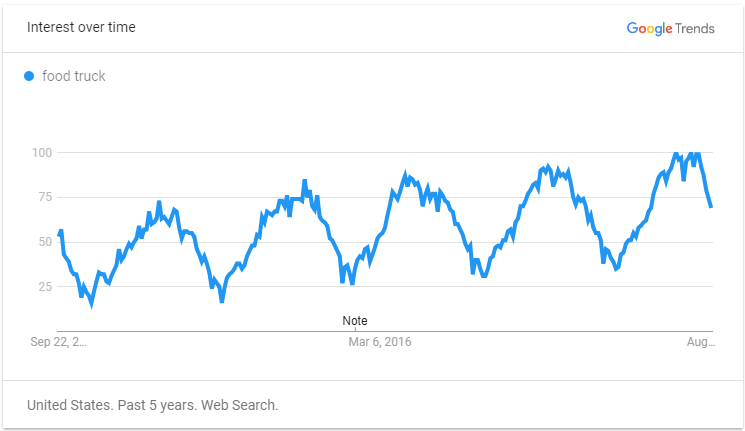 While there seems to be a seasonal up-rising trend in the US for the past 5 years, the food truck business isn’t for everyone. However, if you are aspired enough to face the risk and challenges, then it could become a rewarding entrepreneurial venture. For those who prefer a less commercial approach and love to entertain guests, organizing on-demand meal for a price is a great way to show off your culinary skills and meet new friends. Such events are usually hosted in your own dining space so you are just basically spending on food ingredients and preparation. This is how it works. You set up a profile, create a unique menu, such as Japanese or Mexican, set a price and list a few dates and time as to when you want to host the event. People who are interested will book for their seats and you’ll cook for a specific number of guests for that particular day. The experience benefits both parties – you get the opportunity to earn extra money during your free time and foodies get to eat good quality food at a lower price. You can advertise the service through word-of-mouth or submit an application through meal-hosting sites to be reviewed. Here are some platforms that you can check out and see if they are available in your area. What I’ve covered so far actually requires you to be physically present all the time in order to generate an additional income. That’s fine if you have a high level of commitment to cooking, but if you are interested in doing something less time consuming using creative technology, here are 3 more ideas to boost your career. In the past, only chefs with big names would pursue this project, but now with the convenience of self-publishing platforms which is cheaper and faster, more people are trying it out to build a culinary reputation for themselves. If you have the passion for writing and sharing great recipes, publishing a cookbook is a good way to generate passive income. First, you need to sit down and plan the content and design of the book. You may also need to hire good designers, food photographers and professional editors to make your work more attractive. The initial planning is the most crucial because it affects the overall quality of the book and if you are inexperienced, it will certainly take a while to compile everything. With platforms like KDP (Kindle Direct Publishing), you can publish in less than 5 minutes and your book will appear on the Kindle stores within 1-2 days. For eBook sales, you make about 70% in royalties and for paperback, you could earn up to 60%. Apart from cookbooks, many people are also interested to learn by watching courses. So if you are keen to teach, creating and earning from online courses is another good source of additional income. Likewise, you need to plan what type of content to deliver, prepare recording tools and upload to teaching platforms for people to subscribe. Udemy is one such place that has more than 90 million visitors per month, so that’s a lot of potential audience we are talking about. While it’s free to host videos, the platform takes a cut when a course is sold. For example, if you rely on their partner program, you make 25% in revenue share, but if you market on your own, your profit could reach up to 97%. Have a look at what’s happening in other chef’s kitchen and see what type of unique cooking courses you can offer for the foodie audience. 1. Use it as an additional platform to promote your local restaurant, your food truck business or cooking activities. 2. Promote your cookbook or recipes to drive more sales to your Kindle publication. 3. Host your own online courses and build a loyal audience where you can market to in the future. 4. Leverage from YouTube videos (either your own or others) to attract more visitors to your site. 5. Get found on Google when people search for cooking topics, ideas or how-to’s. The more helpful content you publish, the more people will discover about your work. 6. Not ready to create anything of your own? Then, get involved with affiliate programs to earn sales commissions when you refer customers to online retailers that offer cooking products. 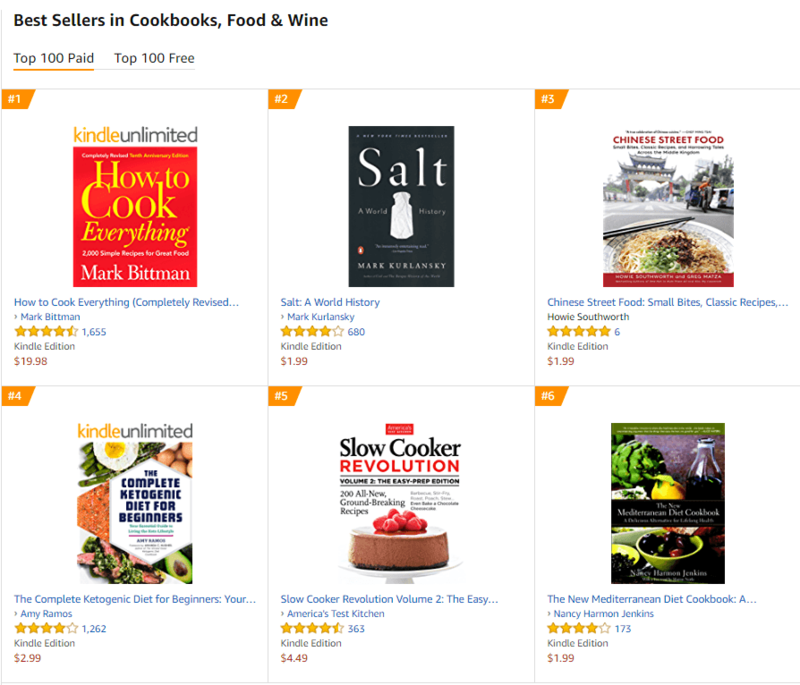 The Amazon marketplace is one such good example where there are a ton of cooking utensils, ingredients and tools that can be recommended through blogging. You can either write product reviews for each item based on experience or create an affiliate store for easier shopping. This form of income model requires very minimal investment. All you need is a custom domain and a blogging platform like WordPress and you are pretty much good to go. Give it a try using the free plugin below to launch your first blog if you haven’t already done so. There are so many opportunities to make more money as a chef if you think outside of the kitchen. With new markets and products coming up, I encourage you to take up the challenge and see how far entrepreneurism would take you in both the offline and online world. Even with the slightest inspiration idea, it’s worth the shot. Head over to my recommended training platform to find more about turning your cooking skills into a profitable business. Hope to see you in there soon. These are really some awesome ideas to make money as chef. I personally enjoy preparing meals, hence will always watch tutorial videos or follow my cookbooks when doing this. There are many people who search online for recipes and also meals ideas for special occasions so I think sharing recipes and unique cooking ideas on a website would be extremely helpful to modern busy people like us. It’s nice to know that as a chef, you can explore other options to pay for your skills besides just working in the kitchen. really nice to know that as a chef, there are many other options than working for others. I think you have listed some very insightful ideas on how to generate more income through the skill set of a chef. I really like the meal hosting idea especially if a chef is hands on and wants to remain that way as they can showcase their unique skills at a more personal level. The food truck, on the other hand, maybe effected by the weather and due to prep/cooking time, you may also be limited to the number of things that can be offered through the menu. This gives a new meaning to being a chef, or for that matter, can be applied to any genre. I like the idea of publishing a book, blogging and even teaching online. They are great boost to the mundane day-to-day grind in the hospitality industry. The food truck allows one to travel around more and to get out of the static kitchen into the mobile kitchen. This way, you can meet many more people and operate the business at your own time. There are so many benefits that present themselves with this option. Thank you for providing a breath of fresh air to improve this industry and make it come alive. Thanks Cathy for all your tips. I have a recipe blog which I have been maintaining for a few years now. I am always wondering how I can take it to the next level and your post say it all! Running a food truck is probably not so ideal for me as I am pretty much home bound. But I can see the opportunity of cooking for guest from home, especially for tourists who want to indulge themselves in local home cooked food. This is something that I might be interested in. Wow! Those are some terrific ideas for an aspiring chef who can’t stand working in an established restaurant for a minimum wage. I really like the food truck idea have always enjoyed visiting different food truck events in my area. I was also intrigued by the idea of publishing a cookbook. I was of the opinion that you had to be a named chef to prepare one, but that doesn’t seems to be the case anymore nowadays. Great advice here for budding chefs. I think that having a blog and conducting online courses are both great ways to build an online business in this field. You can present your skills, share tasty recipes as well as gain followers. I’ve watched some tutorials on Udemy and I think it pays to offer lessons through the platform. Everyone needs to look at different ways to earn money online, even the professionals. The restaurant industry in particular can be rather hard with people working really long hours for not much pay or rewards. The staff can be hopelessly underpaid and the business owners can be facing bankruptcy at any moment. It sure is stressful in the kitchen. As pointed out, lots of restaurants are terrible at websites and boosting their local presence. I would prefer them to publish their menus or at least a more details “vibe” about the type of food that they cook to help people like myself out. I like to try different food and often invite guests along, so I don’t want to be embarrassed by a bad restaurant choice. Hey Cathy, I love food and can definitely appreciate your post because it’s all about food or extending one’s knowledge of food beyond the kitchen. Are you a chef or do you run a food truck? What inspired this post? I’ve wanted to go to school for culinary arts, but I fell short because my college didn’t offer it in the curriculum, but this post is inspiring and does help me to think outside of the box. Hi RJ. Food is what inspires me I guess (no I am not a chef nor do I own a food truck business), but it was also triggered by conversation I had with some people in the industry. The long hours, low wages and various protocols can restrict one’s creativity in the kitchen so I searched and discover that there are still so many ways to become a successful chef, even in the online space. A long while ago before I settled on my career now, I thought about becoming a chef. Not easy and very very hard work. It is good to know that there are different pathways for budding chefs to venture on their own in this modern world. I do like the idea of publishing a cookbook. That would be fun to do and if promoted strategically, your work could gain a lot of positive exposure as well.